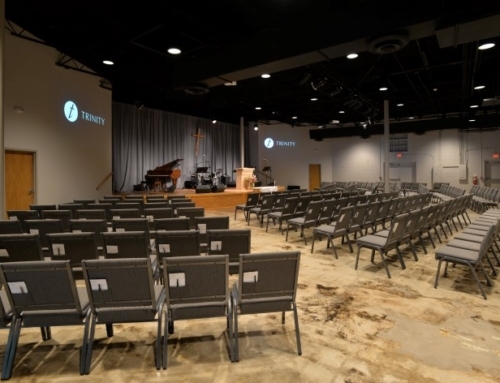 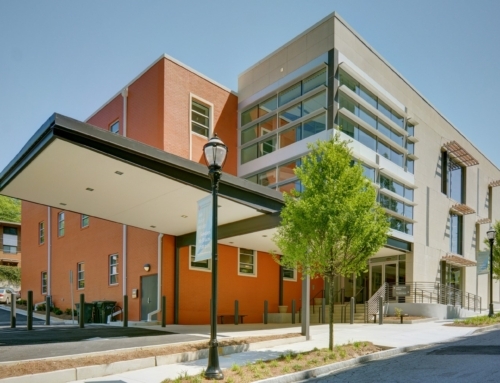 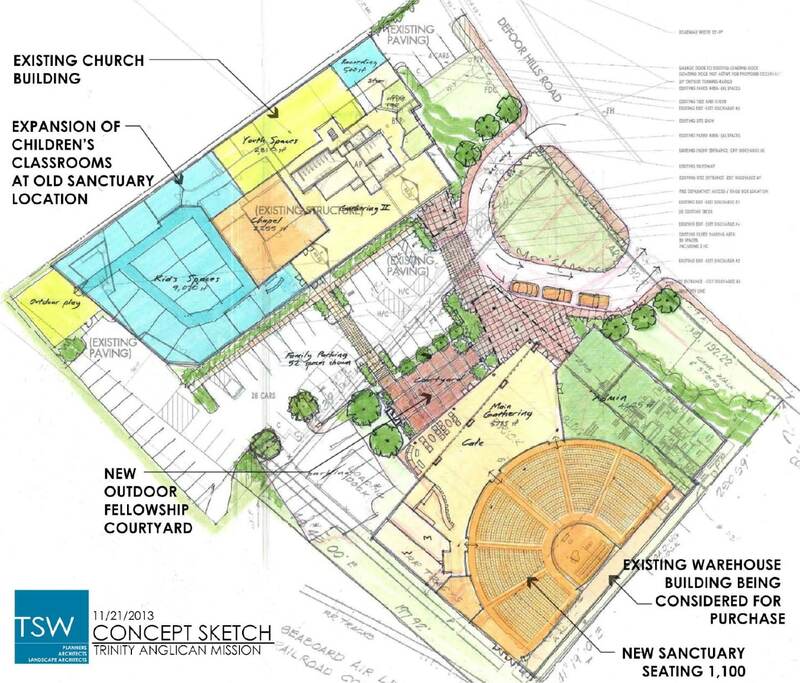 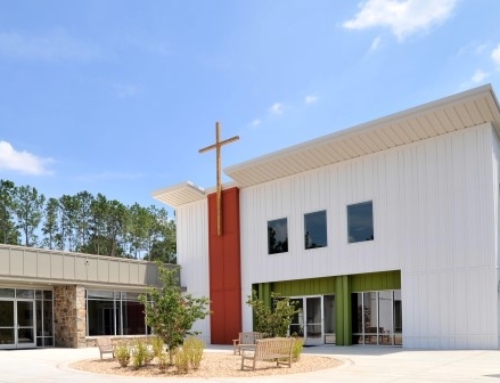 Trinity Anglican Mission, a rapidly growing church based in a warehouse park in west midtown Atlanta, needed accurate conceptual studies examining various renovation and expansion options. 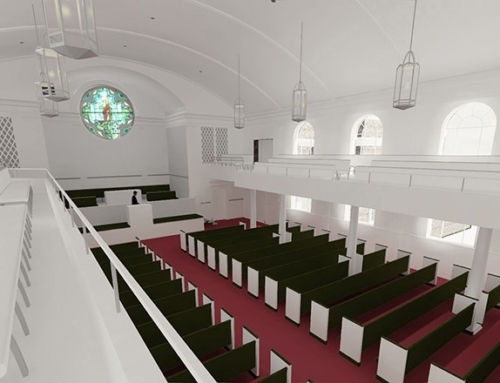 For this congregation comprised mostly of 20 and 30-year-olds, more children’s classrooms were needed, and additional seating in the Church’s Sanctuary. 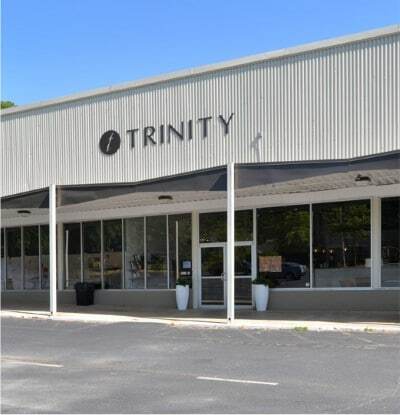 TSW’s initial work focused on expansion within the industrial building now owned by the Church. 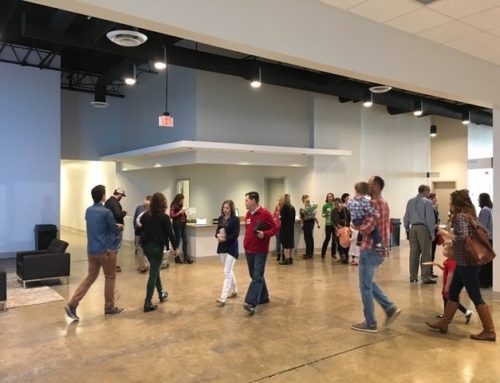 Recently, TSW has provided both site studies, and plan schematics for a two-building concept, in which the Church acquires its neighboring warehouse building and uses that for a greatly increased Sanctuary (some 1,100 seats) paired with multiple pre-service and after service gathering areas.